I’ve been on a monthlong weeding and organizing binge all over the house. 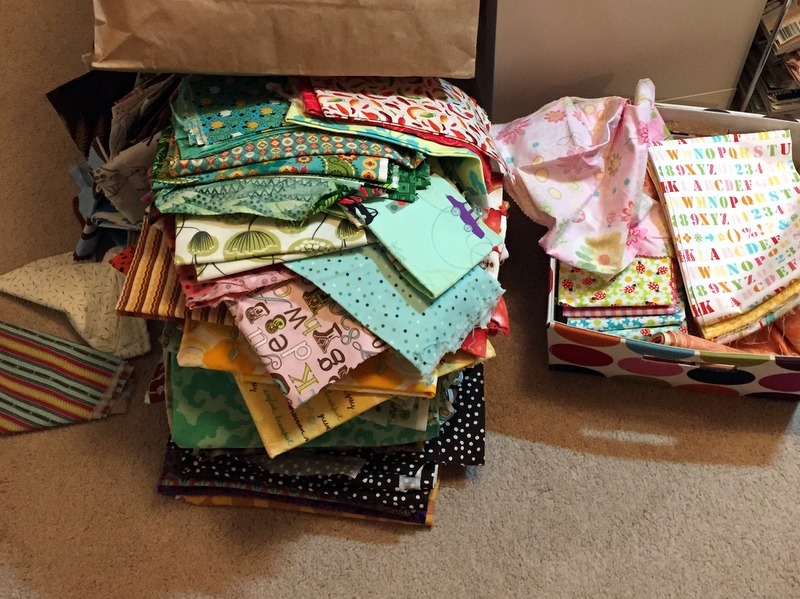 My studio especially has gotten a bit of an overhaul, and I’ve pulled a ton of fabric to sell. First I’ve posted oodles of bundles of various yardages, colors, and manufacturers to my Instagram account. If you’d like to purchase one that isn’t taken (I’m deleting bought bundles as they come in), visit my page to see what’s there. I’ll be eBaying whatever’s left over after a week or so. If you know how to contact me outside of Instagram, feel free! You can even use this site’s contact form.